Improving application processing through easy-to-use, efficient geocoding. 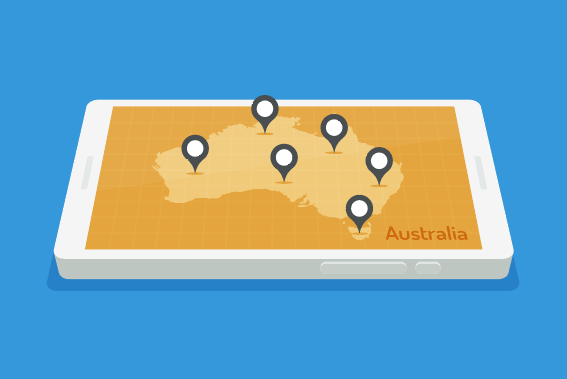 GeoMap is a newly established Australian address verification tool that allows for geocoding and socio-economic insight into all Australian addresses. Over a three part series we will explore the ways in which businesses and institutes can incorporate GeoMap into their work. Our first use case allows for careful and more detailed assessment of applications offering grants and financial aid for low-income families, children and youth. Take a look at a few of the benefits charities and institutions can take advantage of when using GeoMap. Through careful analysis of address, we can better assess the socio-economic status of a location, and thus better understand and validate which applicants are more in need of financial aid. GeoMap leverages indexes from the Australian Bureau of Statistics that indicate levels of socio-economic advantage and disadvantage. Further to these advantage and disadvantage levels, these indexes also include economic resources, occupation and education scores. This data is localised to a mesh block level which is a group of 30 to 60 households, the lowest available level of analysis. GeoMap allows consideration all of these factors when analysing applications for a grant. This helps charities appropriately share funds to the people that need it most. Why is it important to correctly assess your applications? Correct assessment of applications and understanding of regions and their socio-economic status not only allows you to assess appropriate grant opportunities, but it also helps assess overall localities and their residents that may be potential areas of focus for assistance. We are proud to help charities improve their application process, allowing for more individuals to be assisted in their time of need. If you wish to find out more about how you can utilise GeoMap in your business or institute, fill out your details on an online enquiry form today and we will get back to you shortly.